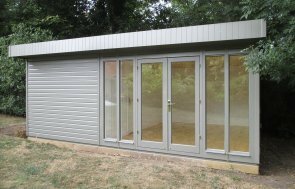 This 4.2 x 7.2m, Langham Garden Studio has been installed in our customer’s large garden in Tunbridge Wells, Kent to use as a year-round entertainment room to enjoy with her family and friends. 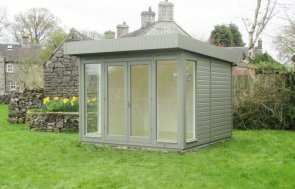 An apex roofed building with grey slate effect tiles on it, this is a traditional, country-style garden building, with weatherboard cladding, plain windows, and it has been painted in a neutral colour from our Valtti Paint Range, called Sandstone. There are six windows in total in the front side of the Langham, as well as half-glazed windows in the double doors. So as not to take up room with windows on the gable ends, the customer chose to have extra light coming through the roof with three Velux® windows. 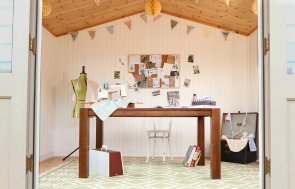 All of the windows are double glazed, and internally, there is full insulation, painted matchboard lining, and an electrical pack, making it fully suited to year-round use. 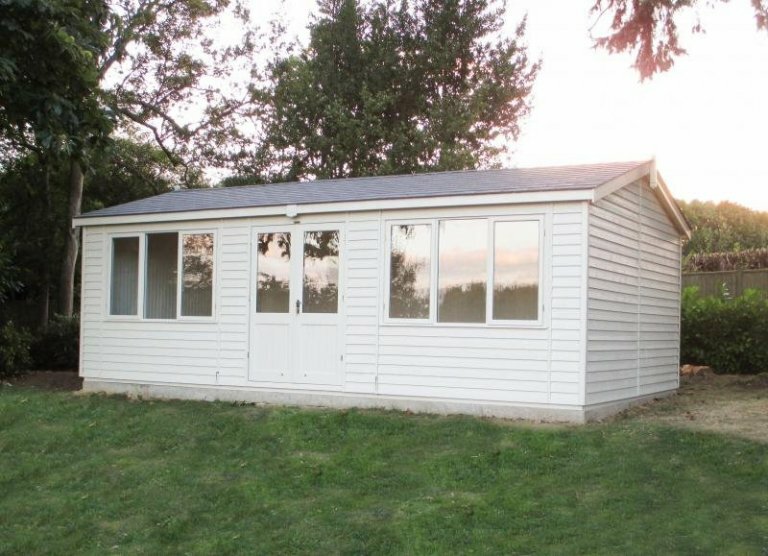 If you would like a garden building that is suited to year-round use, and you like the look of this building, you may like to view our full range of Garden Studio, Summerhouses and Garden Rooms to see the other styles and designs we can create. To find out more information about our range of handmade garden buildings, please call us on 01760 444229, send us an online enquiry, or come and visit our Surrey or East Sussex Show Centres.